BENGALURU: Takedown of ‘objectionable’ poll campaign content by social media platforms has started, with six items removed so far by platforms like Twitter and Facebook. Posts taken down include both ‘indecent’ and ‘violent’ content, people familiar with the process said. The first phase of polling is on April 11, and the 48-hour “silent period” before voting comes into place on Monday. ET has learnt that ever since social media platforms adopted the voluntary code of conduct on March 20, the Election Commission, through its nodal cell, had made seven takedown requests to social media platforms. Twitter took down two posts — one about the indelible ink used in the elections and the other, an unverified piece of information about electronic voting machines or EVMs. The two posts, officials add, were taken down in less than four hours and less than seven hours, respectively. Similarly, of the five requests EC made to Facebook, the social network had taken down four, while it was yet to take down one. These requests, officials added, were taken down in about five hours. The request that’s still pending concerns a Kannada post on Wing Commander Abhinandan Varthaman. EC officials said the content “related to public mischief ”, and that Facebook had sought legal clarification for the same, and assured EC that “the post would be taken down latest by Sunday night”. Officials said that EC has planned to invoke Section 505 of the Indian Penal Code, particularly the provisions pertaining to the “public mischief ” aspect, to remove this post. Facebook did not respond to ET’s questions. The officials in state election commissions confirmed that they had reported “four or five” pieces of content after being notified by EC nodal office. Some of these posts have come via third parties and not by political parties or contesting candidates. One such “indecent” post, ET has learnt, was against Bharatiya Janata Party’s candidate from Bangalore South, Tejasvi Surya whose picture was morphed to show him in “indecent postures and dress”, the officials said. Another post concerned a violent image targeting Karnataka CM and Janata Dal (Secular) leader HD Kumaraswamy. “It had a picture of a sword, a head being removed, and blood coming out,” the EC official added. That post, sources said, was also removed by Facebook. 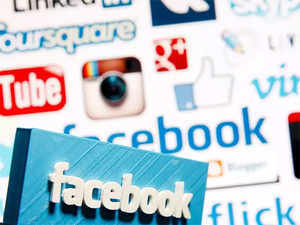 According to the voluntary code of conduct, social media platforms have to take down the reported content within an outer limit of 3 hours in the 48-hour period before polling as per the recommendations of the Sinha Committee in January 2019. As elections progress, officials said, many more takedowns could happen.